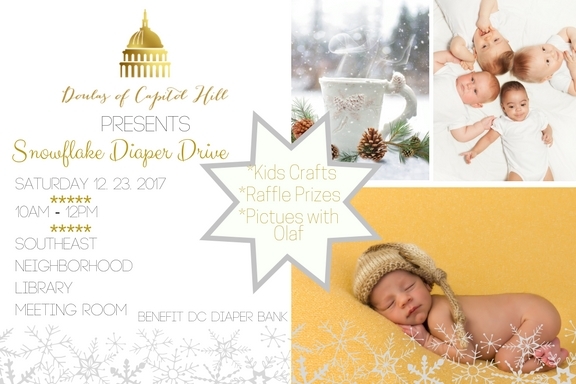 Doulas of Capitol Hill is hosting its first annual Snowflake Festival and Diaper Drive benefiting the DC Diaper Bank! What to Expect: There will be crafts, snacks, raffle prizes and the chance to have your photo taken with Olaf! Where Do I Drop Off Diapers if I Cannot Make the Event? You may also give directly to the DC Diaper Bank via their Amazon Wishlist! Thank you’s go out to Seventh Hill Pizza, District Taco and Groovy Cards and Gifts for sponsoring this event!